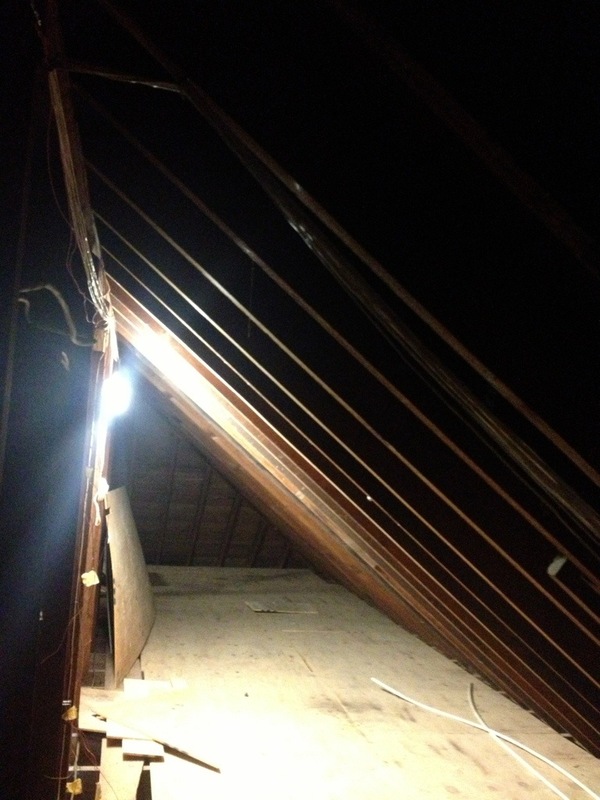 Here are pictures inside the attic. 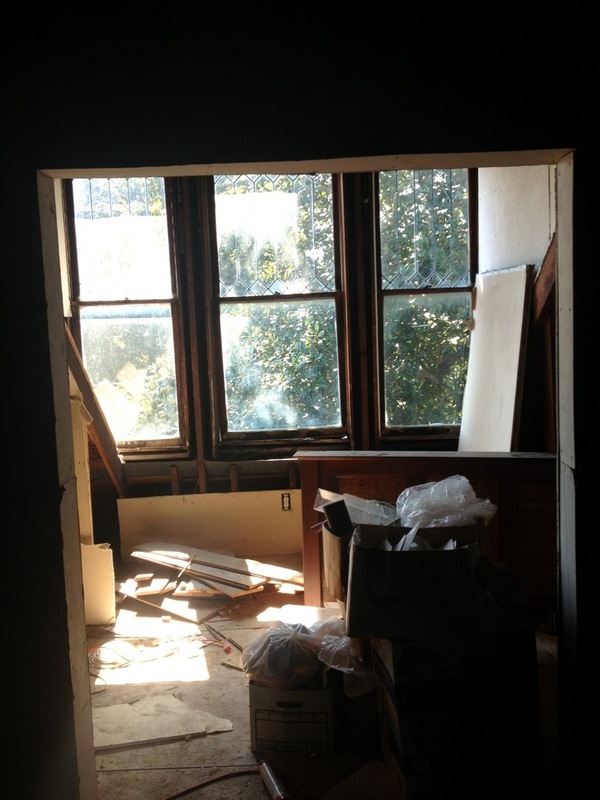 Someone left a comment that there was a back dormer at one point. None of my records reflect that, and the carpentry does not reflect it either. The first picture is of another dormer in the front of the house. It is really big, and leaves a really big footprint. When you go to the back of the house, in the attic, none of the carpentry in that area of the roof has ever been changed. It is all original to the house, has never been refitted. There is no discoloration of the wood where you would expect to see newer wood (newer than 100 years old) grated into the old. The supports and cross wood that make up the roof, are all the same color and thickness as the rest of the 100 year old roof. There are a couple places in other areas where you can see work was done. But, this entire back portion of the house is intact as it was built 100 years ago. 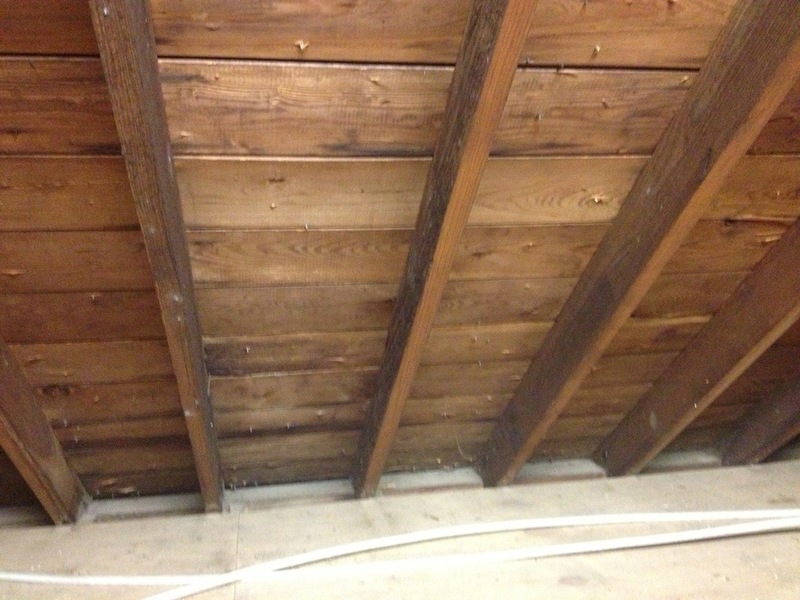 Also when viewing the floor, underneath the piece of plywood there is no dormer footprint. I really enjoy when people tell me stories about my house. Of course, since I’m investigative, I always check them out. Thank you Mr. Smith for commenting, but I really do not think this house ever had a back dormer.